Here at Capper Reviews we give you the opportunity to leave your Jimmy Boyd reviews. Boyd is a former collegiate golfer and University of Iowa Law grad that ensures you success in every sport he covers. Jimmy’s quality sports selections with game-breaking analysis make him a major force in the handicapping industry for years to come. 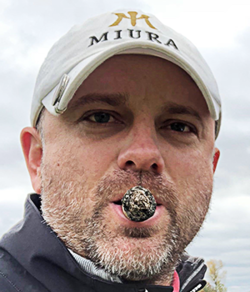 All of Jimmy’s picks get monitored at Boyd’s Bets, and he’s one of the very few handicappers that have actually earned the stripes to be regarded as a top Industry player. Now on a 203-160 run with my last 371 Basketball picks! $1,000/game players have cashed in $66,570 on my Basketball picks since 01/20/18 and $106,470 on my Basketball picks since 12/26/08! Now on a 55-42 run with my last 101 NBA picks! $1,000/game players have cashed in $14,650 on my NBA picks since 03/05/18 and $62,620 on my NBA picks since 12/31/08! This is just too good a price to pass up on New York. The Yankees aren't getting near the props they deserve for how good they have been playing with how many key guys they have on the DL. They are without Judge, Stanton, Sanchez, Bird, Betances, Gregorius and Severino. Those are just the big names, as the list is more than double that. After last night's 7-5 win the Yankees have won 5 straight, while the Angels have now lost 8 of their last 9. NY will turn to veteran C.C. Sabathia, who hasn't allowed an earned run in 2 starts (only given up 4 hits in 10 innings). Take New York! This is a great price to get Chicago at home. The Dodgers are perceived to be the team to beat in the NL and are simply overpriced because of it. No way should LA be favored on the road with how much the starting pitching matchup favors the Cubs. Chicago will send out veteran Cole Hamels, who is 3-0 with a 2.77 ERA and 0.846 WHIP in 4 starts. Hamels was outstanding in his last start, giving up just 3 hits with 0 walks and 8 strikeouts over 7 shutout innings. Dodgers will turn to Walker Buehler, who has struggled to build on a promising rookie season. Buehler has a 2-0 record, but owns an ugly 5.40 ERA. He's also got a 6.00 ERA and 1.333 WHIP in 2 road starts. Take Chicago! I got no problem laying the big number with Golden State at home in Game 5. The Warriors won Game 1 at home by 17 and while they lost Game 2 at home, they blew a 31-point lead in that contest. Golden State got the Clippers best effort in Game 4 at LA and still won by 8. Knowing that they have a massive series on deck against the Rockets, I expect a max effort here from the Warriors. I just think the Clippers have zero chance of making a game of it with Golden State motivated and wouldn't be shocked if this turned into a complete blowout. Much like we saw last night with the Bucks and Raptors both covering big spreads up 3-1 in Game 5 at home. Take Golden State! Red-Hot 58% (88-64) Over L60 Days. A nice little hot streak that has brought home $22,000 in Profits! Boyd is ready to unload on the books with Wednesday's 3-Pack of Profits. This premium bundle includes Jimmy's 5* NBA Playoffs Over/Under PLAY OF THE MONTH! You will also receive his 4* MLB Situational VEGAS INSIDER & 3* MLB Money Line ANNIHILATOR! These 3 plays individually would cost you roughly $120 to buy, but with this special offer you get all 3 plays for the low price of $59.97 (50% DISCOUNT)! You are GUARANTEED TO PROFIT or you will get Thursday's entire card (every play released) for FREE! I love the value here with the UNDER in Game 5 between the Warriors and Clippers. I'm not saying there won't be a lot of offense, I just feel like the number here is way too high with Los Angeles fighting off elimination and the Warriors surely motivated to end this series at home and get ready for their big showdown with Houston in the next round. We saw a much more defensive-minded contest in Game 4, as the two only combined for 218 points with a total at 236. I wouldn't be shocked at all if this thing stayed under 220 again. UNDER is 13-1 in the Clippers last 14 when revenging a home loss and 15-4 in their 19 road games this season against a team with a winning record. UNDER is also 10-3 in the Warriors last 13 home games and 17-5 in their last 22 when playing on 1 day of rest. Take the UNDER! I really enjoy the write ups that come with the plays. Feels like I’m getting ready to handicap the games myself soon, that’s how much I’ve learned. I must have picked the absolute worst day ever to purchase Jimmy Boyd’s picks. I expect you to make up for it for my free day man. I have won big with Jimmy’s college basketball lately, 19-5 run. Perfect timing to step up the game for March Madness. Thanks for the free picks! Boyd has a free pick every day, and they’re almost always winners. How could anyone not love that? I’ve bought picks on various sites for years and Boyd has never disappointed. Great with all sports so perfect for all sports packages.